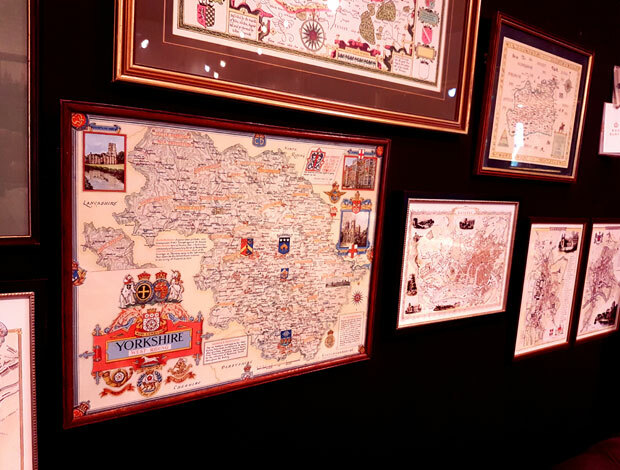 Bring your walls to life with our new stock of vintage maps & newspapers dating back to 1952. Reminisce the good old days whether it is the city of your birth, university city, place when you knew your significant other or city with the most epic parties you went to! Boo-Burys, a western furniture shop Dubai, have just received a whole new collection of vintage maps and historic newspapers that have been framed. We are including them in the DSF sale which is even better news. A perfect gift to yourself and of course others :) At a reduced starting price of AED 199 each, grab yourself a bargain and buy up a few for friends and families upcoming birthdays this year. They are also a great accent for classic and contemporary leather furnitures, gives the room more character. "Maps are so interesting and always the talking point of guests who are always studying our map wall and finding out the stories behind them and the accompanying vintage pictures alongside them" says Maya Wimbury, owner of Boo-Burys. Bring to life any small or large wall in your home with a map whether it be a center piece or an empty corner, a downstairs toilet, study area etc. Prices are reduced up until end of Dubai Shopping Festival which is up until January 27, 2018. For great deals visit our showroom at Courtyard, Al Quoz 1 Dubai. We have a wide array of products from leather furnitures to vintage pieces like these maps that you will surely love.